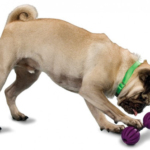 Interactive toys are a great way to keep active and curious pets from being bored. They can be used on rainy days, when the owner is away from home, or during times when your dog needs to be occupied. Here, three Outward Hound interactive toys will be reviewed. 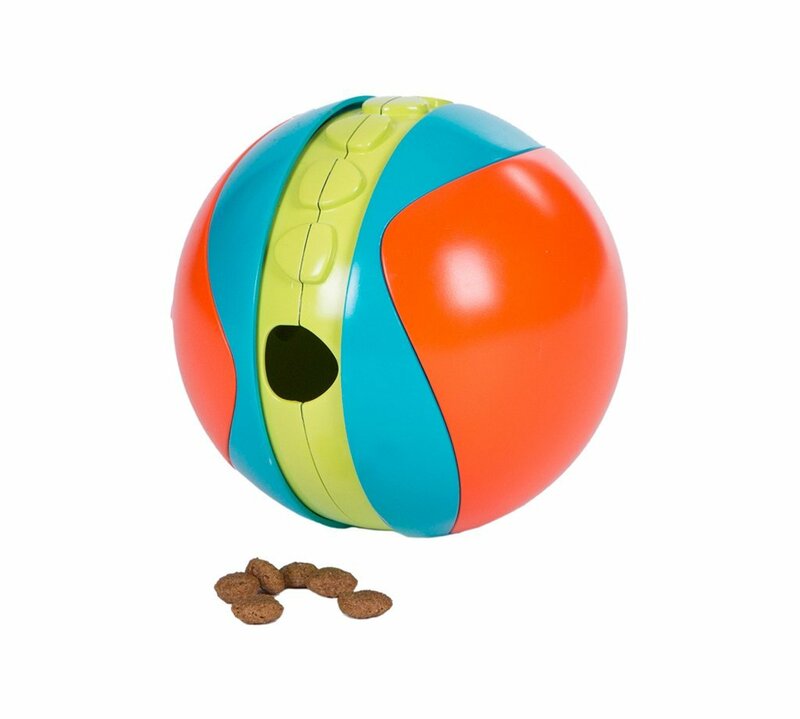 The first of the Outward Hound interactive toys is the Treat Chaser Ball, which is perfect for a puppy or young dog. 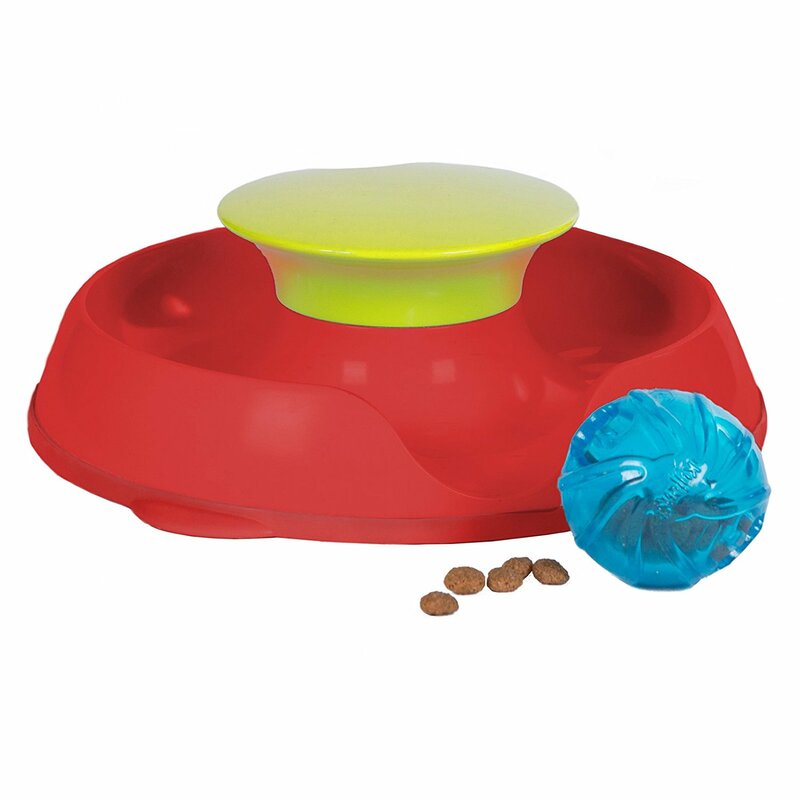 Treats are placed in the ball, which has two small slots. The dog must figure out how to roll the ball in order for the treats to fall out. For dogs that eat their meals too quickly or require extra mental stimulation, breakfast or dinner can be placed in the ball (up to ~1.5 cups of kibble). Advantages of this product include BPA, PVC, and phthalate free design that is safe for your pet. In addition, the teeter totter action of the toy means that your dog will have to continue pawing at the ball to release all of the treats, keeping him or her entertained for an extended period of time. If your dog finds the Treat Chaser Treat Ball is too simple, the Paw Flapper Interactive Toy is a great solution. 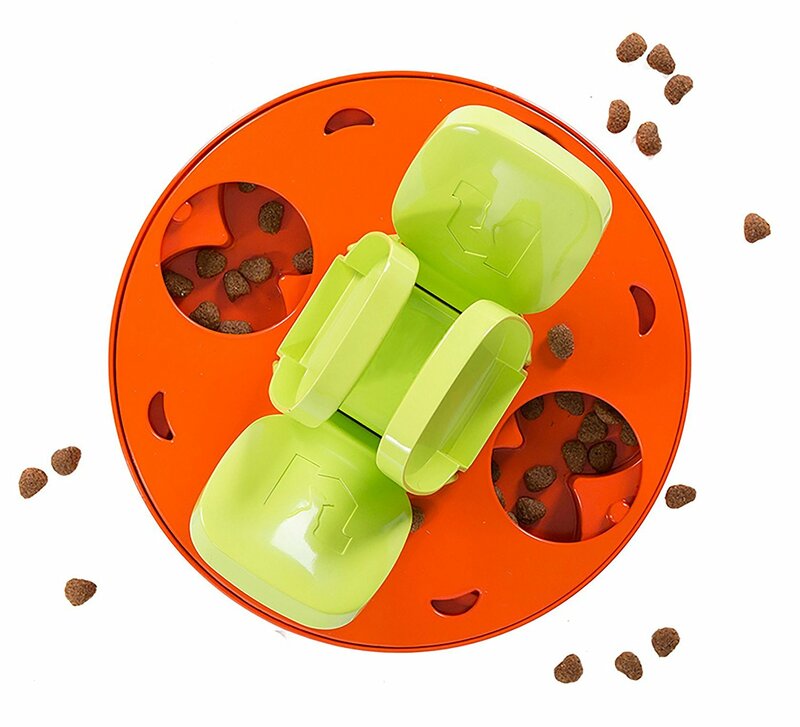 Here, there are eight compartments for hiding treats along the floor of the toy, as well as four flaps that open. After placing treats inside the compartments, you can spin the flaps so that they no longer align with where the treats are hidden. Your dog must figure out how to move the flaps to the appropriate compartments to find the treats. Like the Treat Ball, entire meals can be fed to your dog using the Paw Flapper. A knob on the bottom adjusts the difficulty of this toy, allowing you to make the spinning mechanism more resistant. In addition, it is BPA, PVC, and phthalate free, as well as dishwasher safe! 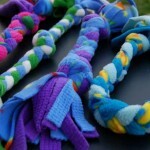 If your dog finds even the Paw Flapper to be too easy, the next option is this extra-difficult treat twister toy. Here, a treat is placed in a rubber ball, and the ball is placed on a circular track. The catch is that the ball can only be released from the track at a certain location, and the dog must figure out how to get the ball to this area before he or she can access the treat. 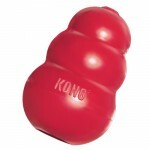 This toy guarantees your dog will remain busy for a long period of time while trying to access the treat. 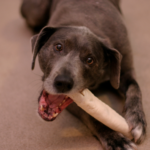 Pet owners should be aware, however, that the treat-hiding ball is not chew proof, and is not intended for dogs that have a tendency to destroy toys. Additionally, the treat-dispensing ball is only large enough for 1 – 2 small treats. Ultimately, Outward Hound interactive toys are available in a range of mental abilities, from beginner to genius. The construction is durable and reliable, and generally holds up well to the abuse of dogs that are frantically trying to find treats. «Is a Cocker Spaniel Right for You?